So the new Flash Gitz have been out for a month, and it's mostly agreed that it's a fantastic kit full of great bits. The conversion potential is massive - but there haven't been many conversions for them! 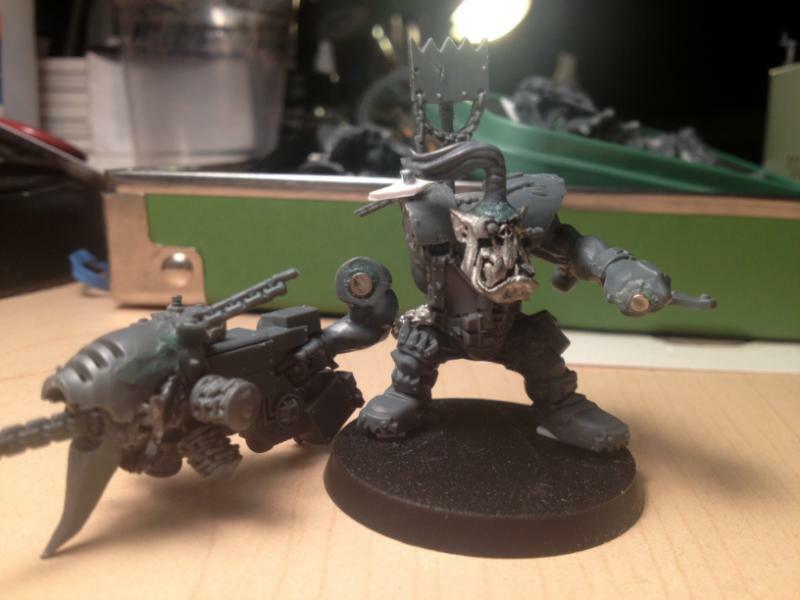 So I got the kit, stripped down some old nobs, bought a few bits, and got to work coming up with a crazy crew of Nobs. I apologise in advance for my potato pictures. 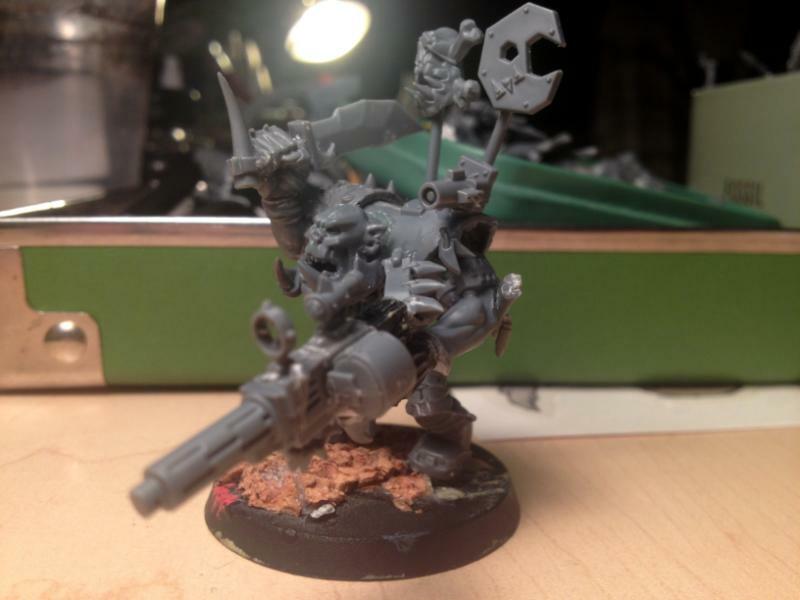 First up is Toofgit, with his shoota "Gobrippa" and an enormous amount of teef from Orks, Squigs, Tyranids, and other beasts! They've been stuck through his skin, hung on Gobrippa, and he's even got a semi-metal gob with tusks on it. 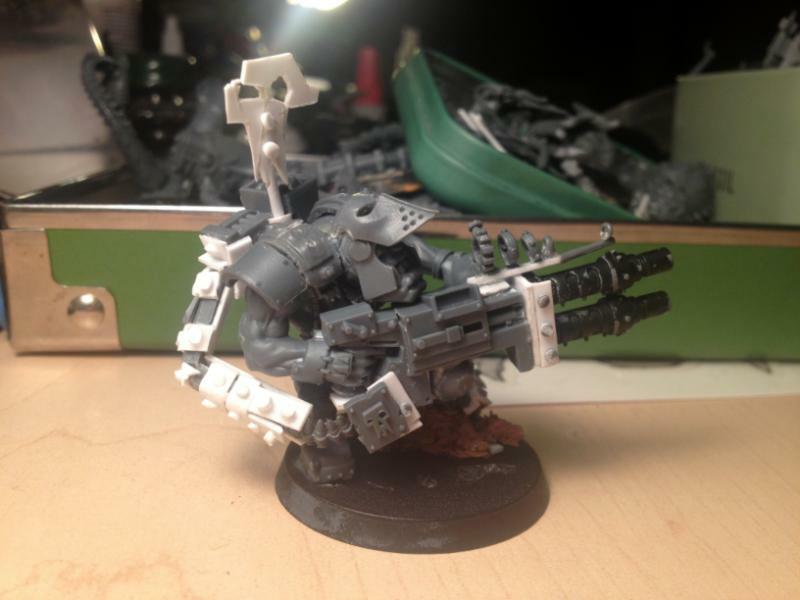 He only needs some greenstuff work and a drilled barrel and he'll be done. He's mostly Flash Gits pieces, just a nob body and bits from the Nob box with some extra bits on. Then there's his buddy Klanka, who sports a massive harpoon gun and an obsession with rusty, clinking chains. 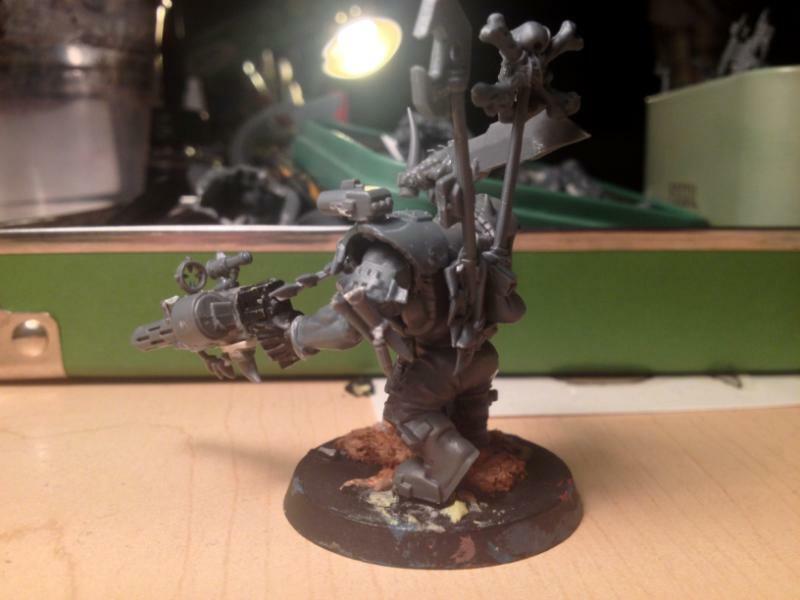 I had a ton of fun doing this conversion, and I'll have even more fun painting him up to have a giant, glittery yellow gun and rusty chains all over. Flash Gits body, Nob front, and some Dark panzee bits. Head is from one of the old metal nobs I bought on eBay, and I chose it because he's got a gleeful smile! 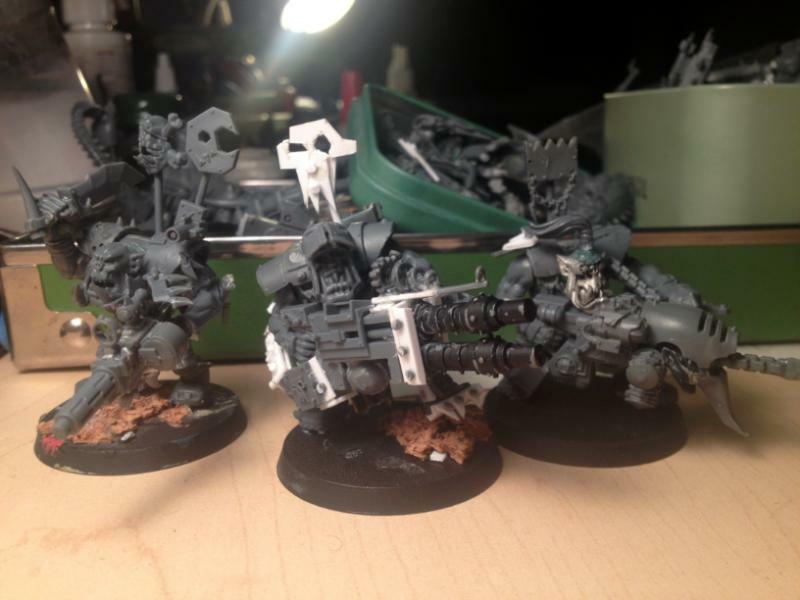 One of the big disappointments with new Orks is the lack of laughing faces - they're all just grim and angry, too focused on killin' to relish the fight! 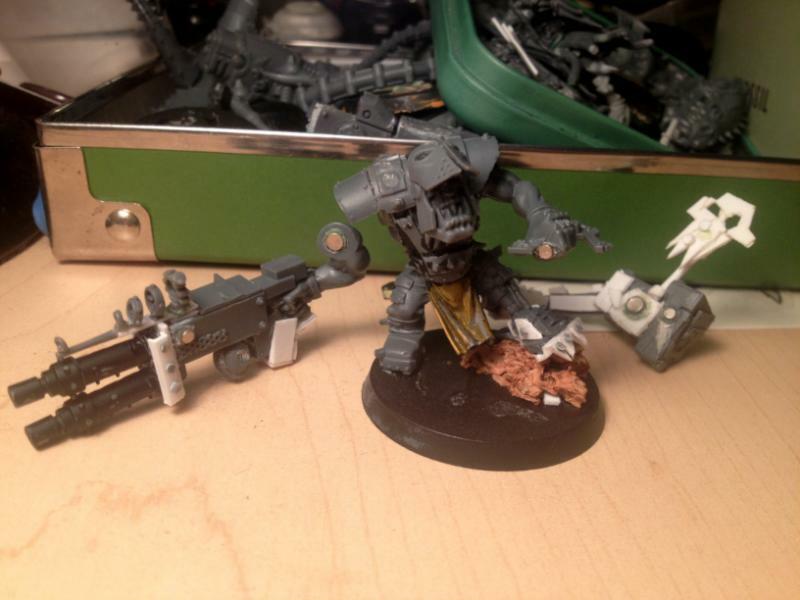 His arm and gun are magnetised so I can paint him properly. I'm very new to magnetising, but it's extremely fun to do, and useful. Already I can see images of poseable machines.. 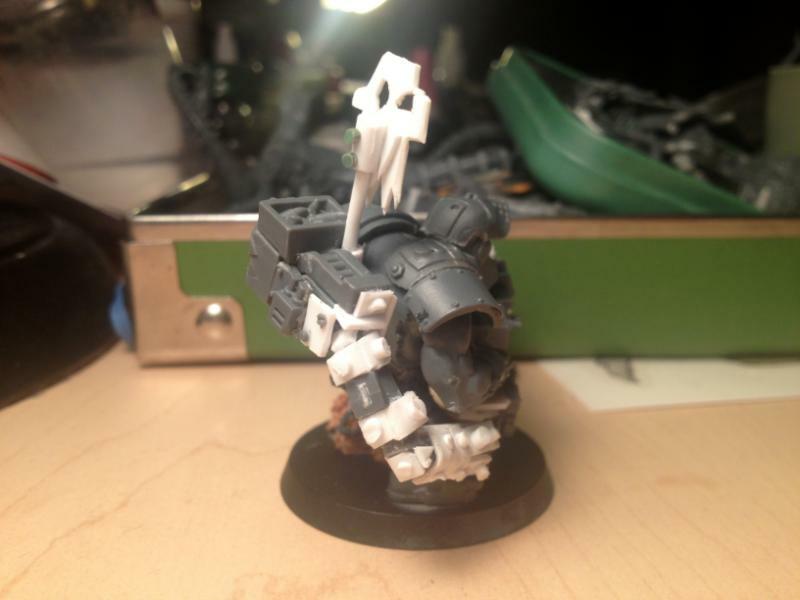 I then started working on the third Git, and I picked up the body with the cybork leg and I couldn't stand looking at that ugly, flat-footed, impractical, and boring foot. 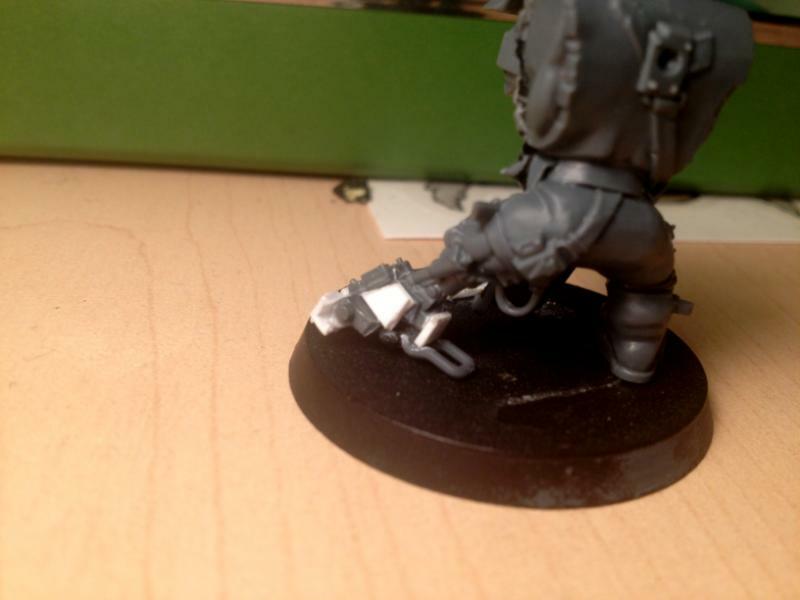 So I hacked off the chunky bit, and knocked up a proper foot out of plasticard, a glyph, and a little handle off of a Dust Tactics walker. I considered giving him back his original foot, but decided against that route. A good night's rest and I've got a gun ready, complete with the ultimate sight! No way he'll miss with that thing. And then that night he's done! I present to you the third Flash Git, who is currently unnamed. 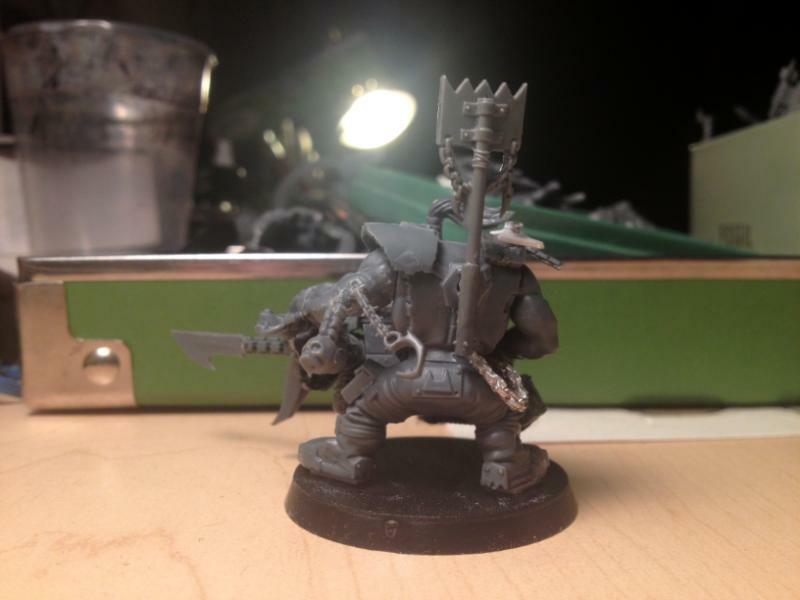 He's actually based off of a Loota I made a few months ago, and is probably one of my favourite conversions. Like Fathork, like Sonork. I cut off the horns as they interfered with his bosspole, but I think he looks better without them. Not sure if I should have ammo coming out of the ejection port, but without muzzle flash I see no point. Put together a backpack with an ammo feed from the Lootas kit, and built a little ammo-belt arm, inspired by Aliens. 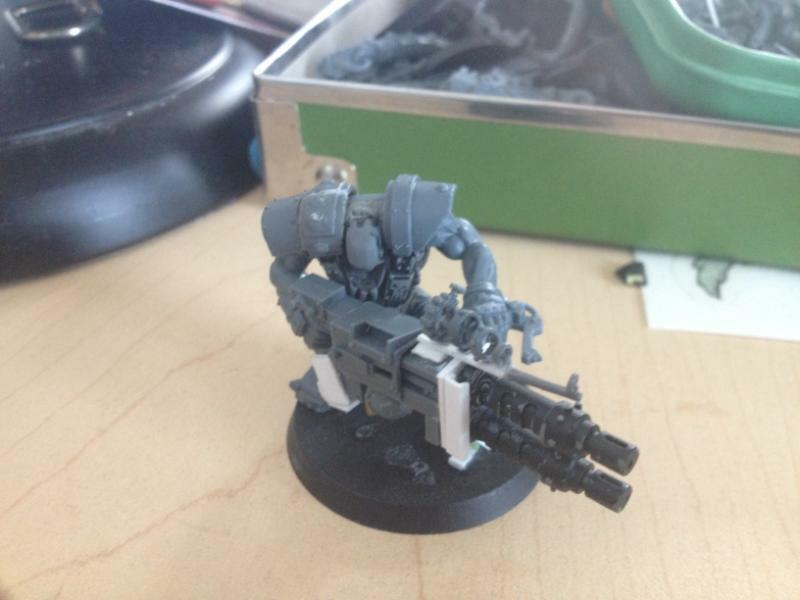 Both the gun and the backpack are magnetised. Here's the latest two Nobs. 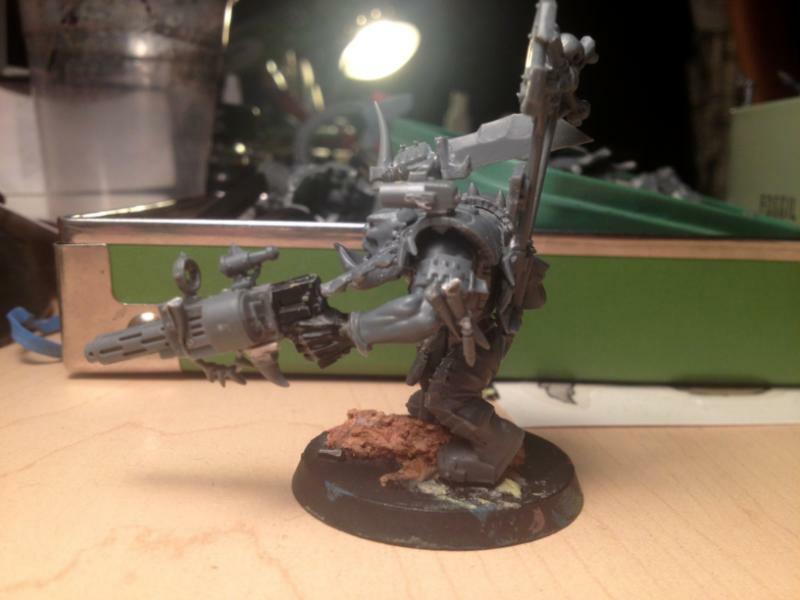 Metal one I made to harken back to Gorkamorka shootas, but he looks bad as hell and ready to rock. 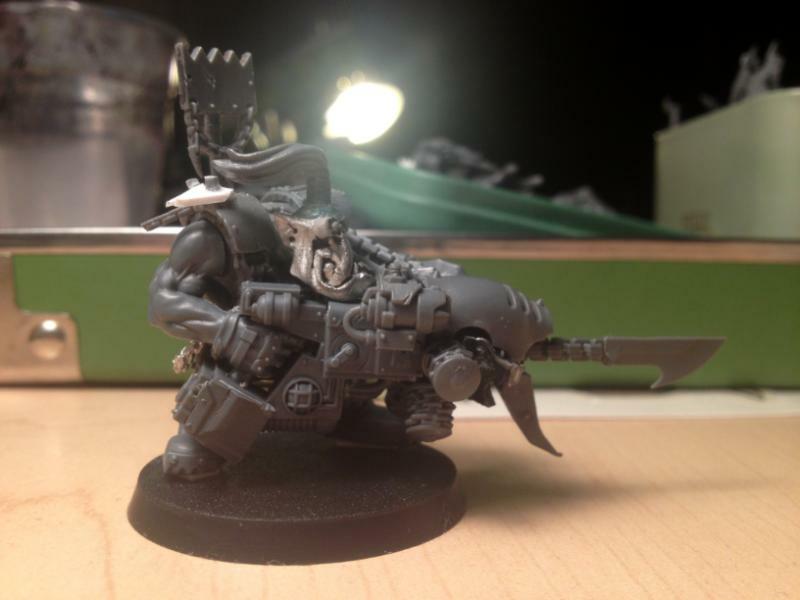 Even his bosspole has a cigar! I'll use him as a boy nob, or a regular nob if I make a squad of them. 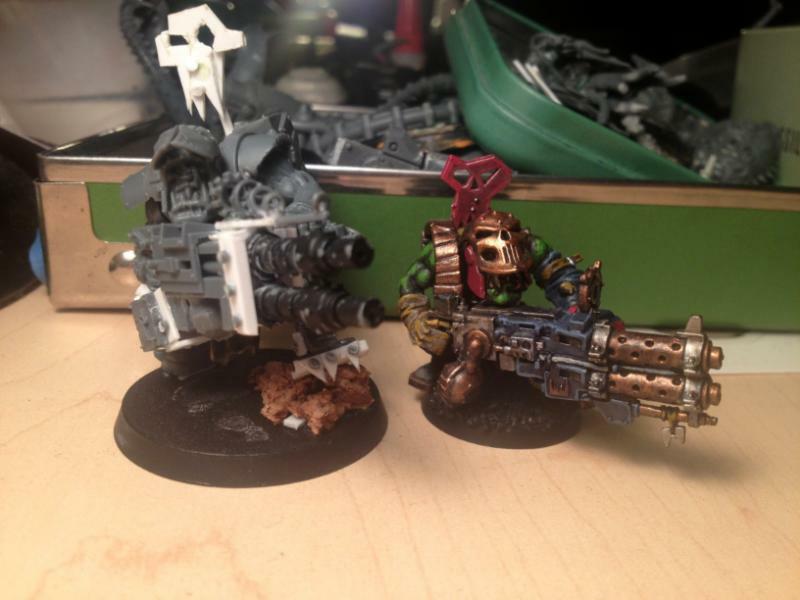 Second one just has a big choppa, mostly because it's the only big choppa I didn't use the arms for! 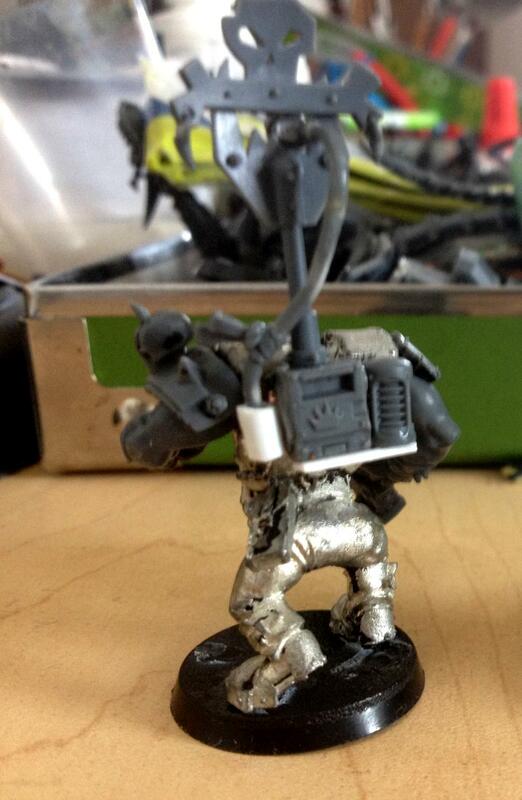 Body's from an AOBR nob, not much else to say about him. 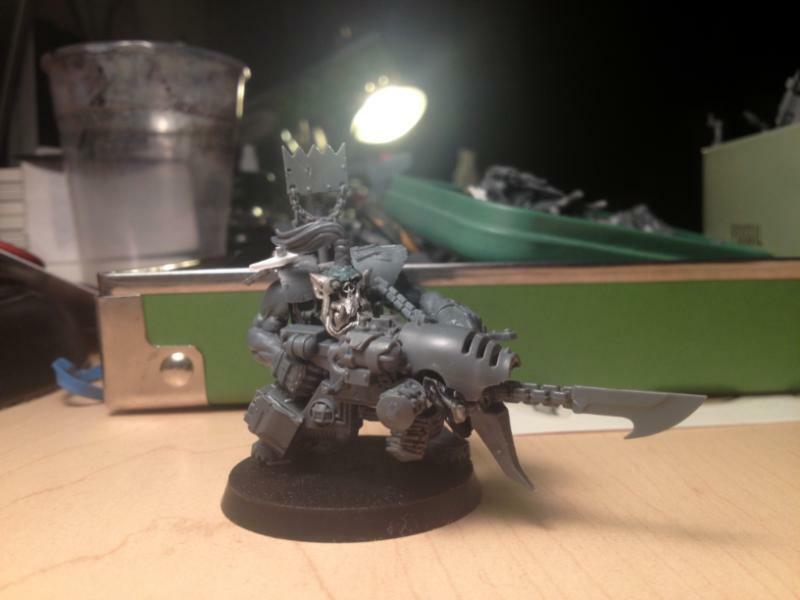 Not sure if he should have a bosspole, but I think his hat is enough. Here's the little system I built to fuel his bosspole's cigar. Spoilered because the image is absolutely awful. Too much contrast! Klanka is the best IMHO! What are you using them as? 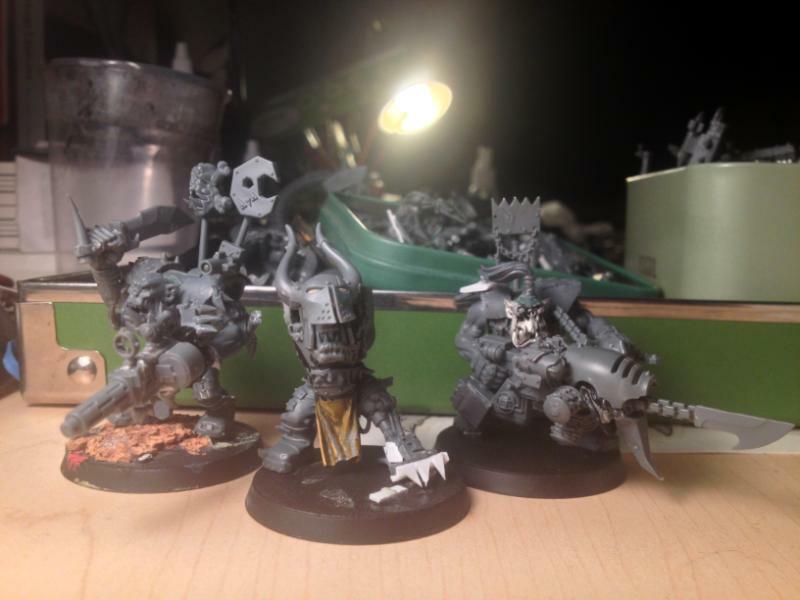 Nobz or gitz? I'm not sure, I might just change my list as needed for a game. If my opponent has no problem with me running them as Nobs, then that's what I'll do. Hopefully they'll always say yes, the bigger bases are a problem for me but an advantage for them! Nice work, I also like that harpoon gun. Very cool. The flash gitz are a great kit with loads of bitz - definitely potential for lots of future conversions to turn up. Here's the latest Git. 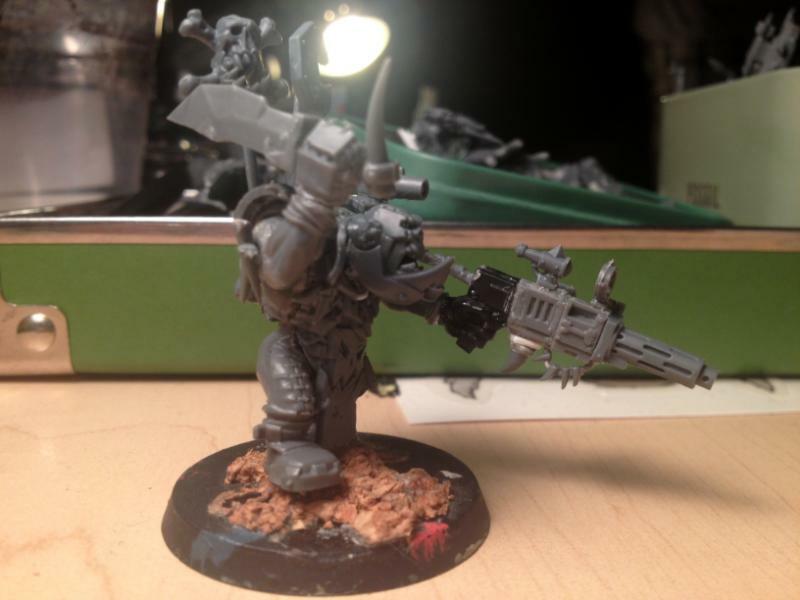 It's a Snakebite, and I did something different with him - I cut off the actual snazzgun body! In place of it I made a sort of bolt-thrower out of plasticard and plastic tubing. I also made a glyph out of plasticard and put it on his bosspoles. Gun is magnetised again, starting to get the hang of this. 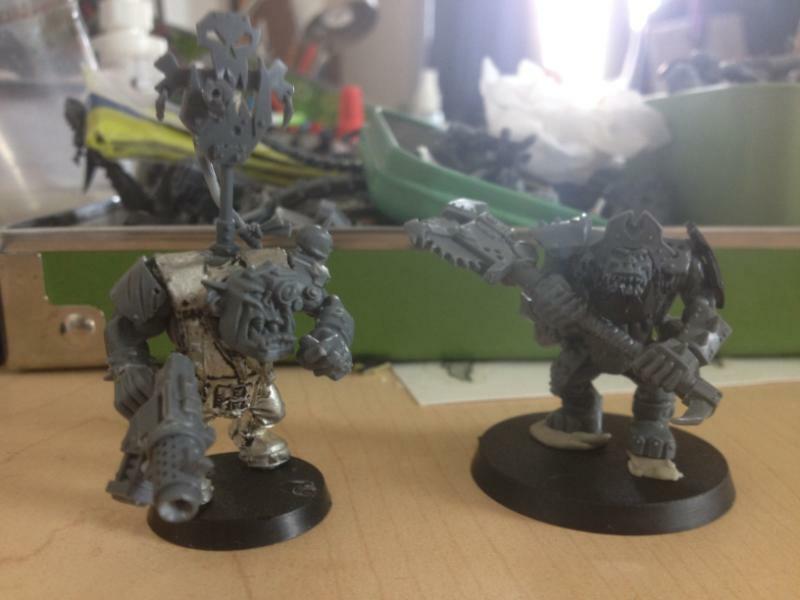 Decided to do a squad of Big Choppa/PK Nobs to put in a trukk or Gorka/Morkanaut, so here's two WIP ones. Nothing's glued except the repositioning of the AOBR nob's arms and the change i made to the cybork sword arm from the Gits kit. 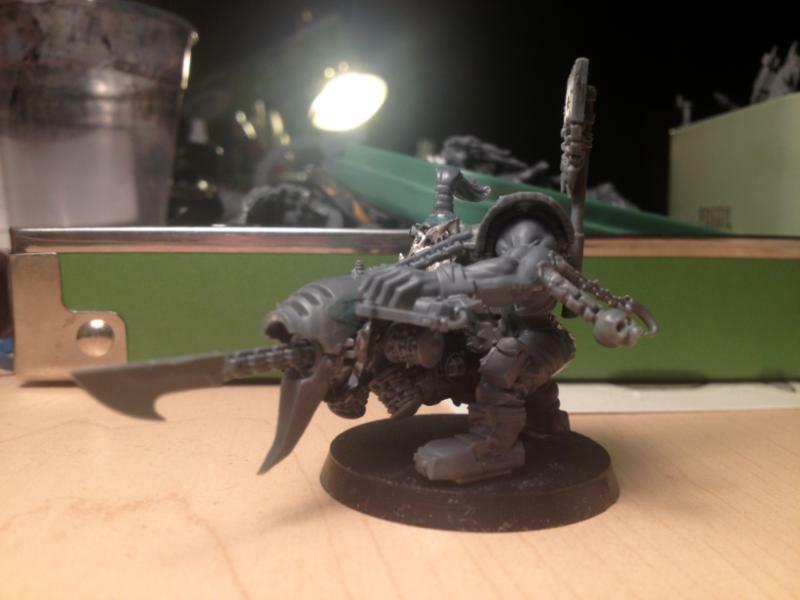 I cut off the small blade (using it in the above Snakebite) and replaced it with the spear blade from the Orc Warboss kit. It's bigger, more menacing, and adds a lot to the pose. It also extends quite far out though, so I might have to remove it. 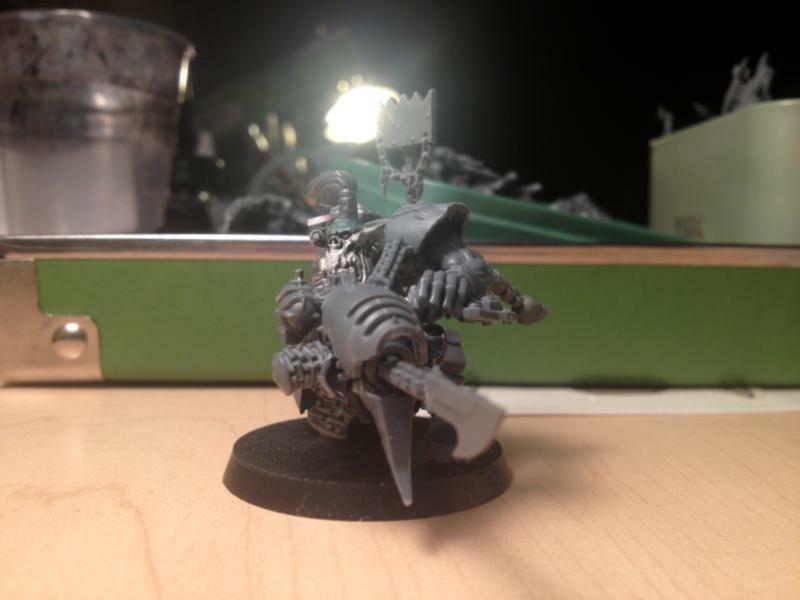 I used a powerklaw arm I made from when I tried to create my own Wazdakka, but since he was removed from the game ( ) I cannibalised the bits. 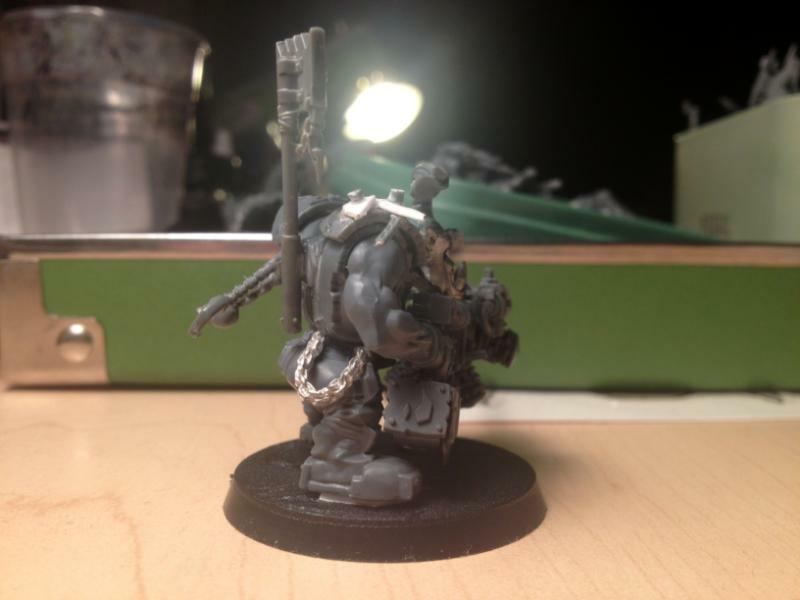 Chain is from the Sentinel kit. 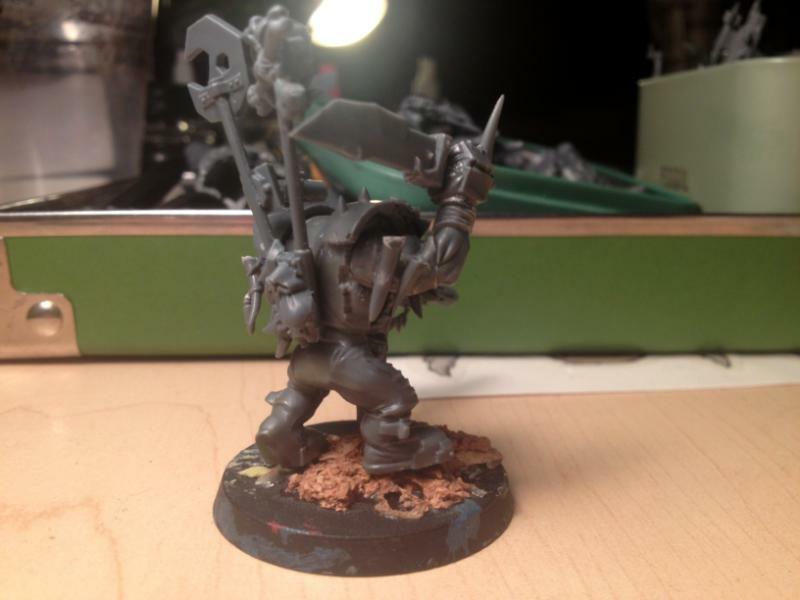 How do you - Flash Gitz?